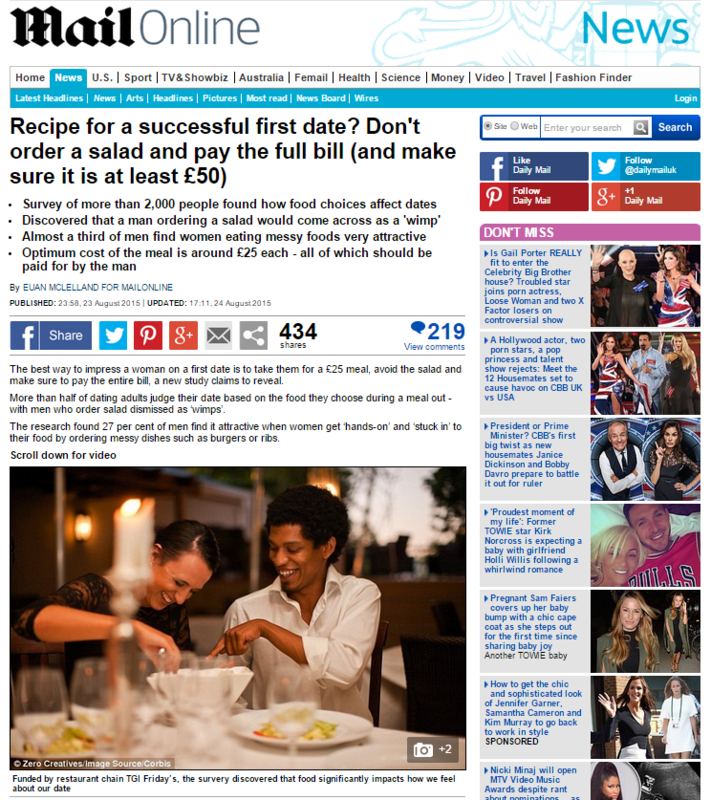 The best way to impress a woman on a first date is to take them for a £25 meal, avoid the salad and make sure to pay the entire bill, a new study claims to reveal. More than half of dating adults judge their date based on the food they choose during a meal out – with men who order salad dismissed as ‘wimps’. The research found 27 per cent of men find it attractive when women get ‘hands-on’ and ‘stuck in’ to their food by ordering messy dishes such as burgers or ribs. Funded by restaurant chain TGI Friday’s, it discovered that food significantly impacts how we feel about our date. Utterly shocked am I that a place famed for selling burgers, ribs and fries finds that burgers, ribs and fries are exactly the kind of food that makes a date work. Behavioural psychologist Jo Hemmings said: ‘It is fairly natural for us to make judgements about people who make different lifestyle choices to our own. ‘We’re equally likely to judge someone for eating something particularly healthy as we are for something which is more of a treat, if it’s different to what we would choose when dining out. 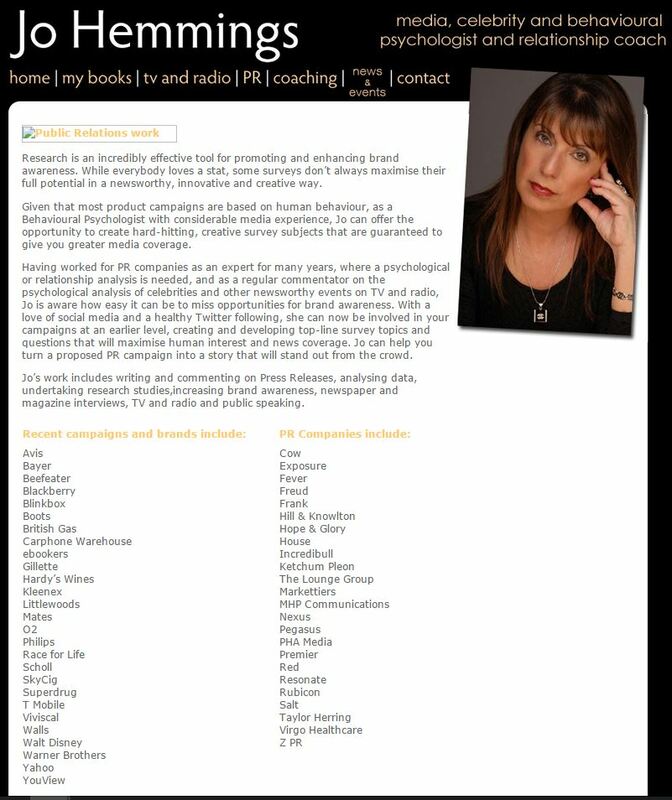 If you’d like Jo to offer credibility to your advertising, she is more than happy to work with an extensive array of PR companies. This entry was posted in TGI Fridays and tagged daily mail, Euan McLelland, jo hemmings, tgi fridays on September 2, 2015 by Michael Marshall.